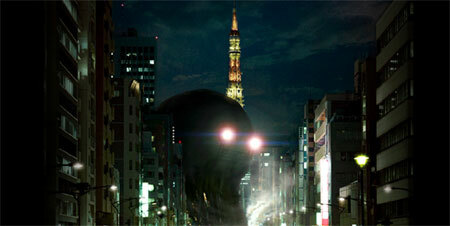 It's coming: a not-so-nice childhood fantasy is made reality in 20th Century Boys. 20th Century Boys channels the original manga's intriguing storyline and ideas, but the film's watered-down details and commercial sensibilities render it somewhat unconvincing. The first of three films, so it's difficult to judge the first one right away. Anyway, the movies have zero chance of being better than the manga. by Kozo: Another manga to movie adaptation? Hollywood produced half-a-dozen hit comic book movies in 2008, but in terms of quantity they've got nothing on Japan, which seems to be churning out manga movies every other week. There are now so many manga movies being made that the words "based on a manga" have lost their pop entertainment luster. 20th Century Boys, however, is a doozy. Created by acclaimed manga creator Naoki Urasawa 20th Century Boys is not only a popular manga - it's a complete, generations-spanning epic that's so dense and complex that it simply cannot be told in a single film. So, instead of one movie, the filmmakers are giving us three, all being released over a period of twelve months.